A leading creationist answers an often-asked question. 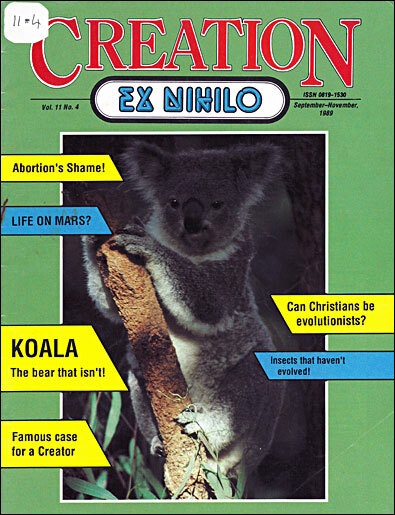 At a debate at Westminster Chapel in 1987 between the Creation Science Movement and paleontologists from the British Museum of Natural History, a member of the audience asked me the question which is the title of this article. I stated that although I believed it was both bad science and bad theology for a Christian to be an evolutionist, it was possible to be both. At the conclusion of the debate, several Christians in the audience spoke to me privately, questioning whether it is possible for a Christian to be an evolutionist. Although I personally never questioned the fact of creation after I became a Christian (and all of my scientific studies and research have done nothing but strengthen my conviction), I have met many Christian creationists who have assured me that they had accepted Christ as their Saviour and Lord before they became creationists. Having been brought up through State schools and secular universities where evolution is generally taught as an established fact, these people had been led to believe that evolution was true. They did not believe at that time that the record of creation in Genesis should be taken literally. Therefore they believed it was possible to accept evolution as God’s method of ‘creation’. Later studies of both the Bible and the facts of science convinced them that the theory of evolution was untenable. What is Required to be a Christian? In Christ’s assurance to Martha, He told her: ‘l am the resurrection, and the life: he that believeth in me, though he were dead, yet shall he live: And whosoever liveth and believeth in me shall never die’ (John 11:25,26). Many similar Scriptures could be cited. What does it mean to believe on Christ? We must first repent of our sins, be sorry for them, and turn to God (Acts 26:20; Luke 13:3). We must believe that Jesus, the Creator God (John 1:3; Colossians 1:16) is the long-promised Messiah (Genesis 3:15). This is not merely a mental assent, but a heart conviction affecting the whole of life, as God lives in us. ‘Whosoever shall confess that Jesus is the Son of God, God dwelleth in him, and he in God’ (I John 4:15). We must believe that Jesus died on the cross, shedding His blood for the remission of our sins. ‘For the preaching of the cross is to them that perish foolishness; but unto us which are saved it is the power of God’ (I Corinthians l:18). ‘Under this divine "system" a man who has faith is now freely acquitted in the eyes of God by his generous dealing in the redemptive act of Jesus Christ. God has appointed him as the means of propitiation, a propitiation accomplished by the shedding of his blood, to be received and made effective in ourselves by faith’ (Romans 3:24,25, Phillips’ translation). This appears to be the basic condition for being a Christian, to repent and to believe in the person and redemptive work of the Lord Jesus Christ, the divine Son of God, who shed His blood on the cross for our salvation and the forgiveness of our sins. Christians may differ on the interpretation of certain doctrines, such as: Does baptism require immersion, and is it reserved for those of responsible age? Are the bread and wine of the Lord’s Supper transformed into flesh and blood? Is the millennial rule of Christ a literal thousand-year reign on this earth, yet to come? Does the Hebrew word yom in Genesis 1 denote a solar day, or may it refer to a long period of time? By what method did God create the heavens and the earth? These are important matters, and they have occupied theologians for centuries. But should one’s salvation depend upon getting all the answers right? Must that be done to ‘believe on Christ’? No, not at all! God did not make salvation difficult to understand and to obtain. Our faith is simple, like a child’s faith in a father. Evolution Irreconcilable with Biblical Creation? ‘In the beginning, God created the heaven and the earth.’ God put that great truth in the very first verse of the Bible. He wanted us to know, right from verse 1 of the Bible, that He had created. ‘For the man is not of the woman; but the woman of the man’ (1 Corinthians 11:8). Of course no evolutionist believes that, whether a theistic evolutionist or an atheistic evolutionist. All evolutionists believe that humans evolved from ape-like beasts which had evolved from ‘lower’ forms of life. Many other direct contradictions between the biblical record of creation end the theory of evolution can be cited. Genesis says that things were made to reproduce after their kind. This rules out the transformations required by evolutionists. Again, Genesis 1:27 emphasizes by repetition that man was created in the image of God. Surely this rules out evolution from a primate? Perhaps most significant for our present discussion, evolution of man from primate does not include a Fall from an initially perfect man. If there was no Fall, there would be no need of a Saviour from sin. Should We Interpret Genesis Literally? The theistic evolutionist brushes aside these objections by asserting that the early chapters of Genesis cannot be taken literally. This is an arbitrary, ad hoc assumption, contrary to the plain reading of these Scriptures, and taken only so that the theory of evolution may be made acceptable. The language in Genesis, however, is that used to set forth simple historical truths. It is neither allegorical nor poetical. 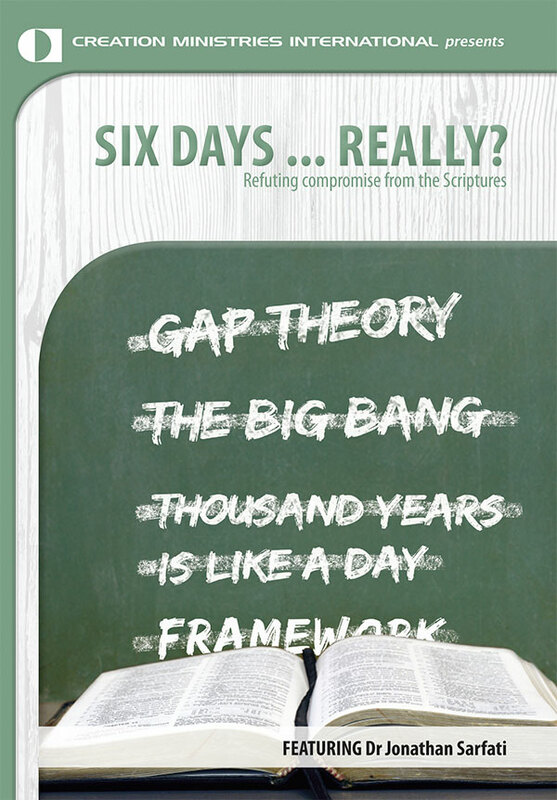 The theistic evolutionist, biblically, has placed himself in an untenable position. How does one decide which portions of the Bible should be taken literally and which should be brushed aside as devoid of historical and scientific significance? The Virgin birth of Jesus Christ, the raising of Lazarus from the dead, the changing of water into wine all were miraculous events. None can be explained biologically. All involved instantaneous acts of divine creation. Did these events literally take place as described, or, as some liberal theologians assert, may we assume rather that these passages of Scripture were given only to establish certain spiritual truths? Some even question whether Christ literally rose from the dead. ‘For had ye believed Moses, ye would have believed me: for he wrote of me. But if ye believe not his writings, how shall ye believe my words?’ (John 5:46,47). He then quoted Genesis 2:24. He did not say ‘But many billions of years after the beginning of creation, God gradually changed primates into humans’. In Luke 11:50,51, Jesus speaks of ‘the blood of all the prophets, which was shed from the foundation of the world … from the blood of Abel’. Abel was the son of Adam and Eve at the foundation of the world! Since the Lord Jesus Christ accepted the early chapters of Genesis as literal, the Christian who is an evolutionist finds himself in disagreement with his Creator/Saviour. Is the servant wiser than his Lord? Furthermore, the theory of evolution is contradictory to the attributes of God. Evolutionist Loren Eiseley declared that ‘Man is a long chain of DNA accidents taking place over billions of years’. Carl Sagan was quoted in Time magazine as saying that ‘Only through the deaths of an immense number of slightly maladapted organisms are we, brain and all, here today’. These two statements incorporate two major features of the Darwinian mechanism of evolution: genetic mistakes and death. Mutations, which are indeed random genetic accidents, followed by the extinction of the less well-adapted creatures, have supposedly converted the first microscopic form of life into all other forms of life, fossil and living, including man. However, mutations are best known by the defects they often cause. Several thousand genetic diseases in man, due to mutations, are now known. Thus evolution would be the most wasteful, inefficient, cruel method that one could conceive to create man. Would an omniscient, omnipotent, loving God use such a process to create man in three billion years when He could have created men instantaneously if He chose? Random genetic mistakes and death are the consequences of man’s sin and rebellion against God (Romans 5:13), not the tools God used for creation. The theistic evolutionist maligns God’s character and detracts from His glory. In fact, Romans 5:12 tells us that death entered the world as a result of Adam’s sin. For the Christian who believes the Bible, this one verse rules out theistic or any other evolution, or a ‘gap’ theory. The teaching of evolution to young people convinces many of them that they are hardly more than a mechanistic product of a mindless universe, that there is no one to whom they are responsible that they are only responsible to themselves. The changes for the worse which we have seen in society in the past 50 years are the predictable result of indoctrination in evolutionary philosophy. Yes, one can be a Christian and an evolutionist, but such a position is both scientifically and biblically untenable. The Lord Jesus took a literal view of Genesis. The theory of evolution is dishonouring to God as Creator, and its teaching leads to a disastrous secularizing of society. Do I have to believe in a historical Genesis to be saved?